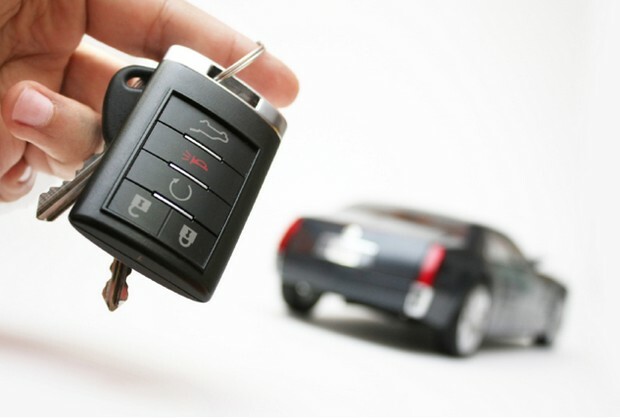 Purchasing a vehicle with a conventional car loan is pretty straightforward. You borrow money from a lending institution and make monthly payments for x amount of months. When making these payments it’s important to note that a chunk of each is interest, and the rest is principal. As you repay the principal, you build equity until the loan is over, then the car is yours. In recent years, leasing a vehicle has become a mainstream alternative to buying, but is it right for you? Here, a look at the pros and cons of this popular option. On the surface, leasing can be more appealing than buying. Monthly payments are usually lower because you’re not paying back any principal. Instead, you’re just borrowing and repaying the amount that the car depreciates in the time you have it, plus finance charges. You drive the car during its most trouble-free years. You’re always driving a late-model vehicle and one that’s usually covered by the manufacturer’s warranty, which may include free oil changes and other scheduled maintenance. You can drive a higher-priced, better-equipped vehicle than you might otherwise be able to afford. Speak to a company like Rhino Money Car Loans to find out more. You don’t have to worry about fluctuations in the car’s trade-in value or go through the hassle of selling it when it’s time to move on. There could be significant tax advantages for business owners. At the end you just drop off the car at the dealer. In the end, leasing usually costs you more than an equivalent loan, if only because you are always driving a rapidly depreciating asset. If you lease one car after another, monthly payments go on forever. By contrast, the longer you keep a vehicle after a loan is paid off, the more value you get out of it. Over the long term, the cheapest way to drive is to buy a car and keep it until the wheels fall off. Lease contracts specify a limited number of miles. If you go over that limit, you’ll have to pay an excess mileage penalty. That can range from 10 cents to as much as 50 cents for every additional mile. Unfortunately, you don’t get a credit for unused miles. If you don’t maintain the vehicle in good condition, you’ll have to pay excess wear-and-tear charges when you turn it in. So if your kids are apt to go wild with the magic markers or you are a magnet for parking lot dents and dings, be prepared to pay extra. If you need to get out of a lease before it expires, you may be stuck with thousands of dollars in early termination fees and penalties—all due at once. Those charges could equal the amount of the lease for its entire term. With a few exceptions, such as professional window tinting, you need to bring back the car in “as it left the showroom” condition, minus usual wear and tear, and configured like it was when you leased it. If a lease’s limitations put you off, consider buying a less expensive new car or a well-maintained used car such as a “certified pre-owned” vehicle from a dealer like https://vegasusedcars.com, or getting a longer loan term. Last, whether you get your new car with cash, a loan, or a lease, you can save by choosing one that holds its value well, stays reliable, and gets good fuel economy. It’s very difficult to make a fair head-to-head comparison between, say, a six-year loan and the standard three-year lease. At the point the lease ends, the bank borrower still has three years of payments to go, but the lessee has to look for another car—or perhaps take the lease’s buyout offer. An automaker may also kick in extra rebates on a lease deal, ones not available to a loan customer. In addition, the interest rate on a lease may be different from the interest rate offered on a loan, making an apples-to-apples comparison almost impossible. Opting for a longer-term loan of six to eight years may bring your monthly payment close to that of a lease, but not invariably. Longer loans make it easy to get “upside down” where you owe more than the vehicle is worth and stay that way for a long time. If you need to get rid of the car early on, or if it’s destroyed or stolen, the trade-in, resale, or insurance value is likely to be less than you still owe. Indeed, buying a car with a loan is not the way to go if you want to drive a new car every couple of years. Taking out long-term loans and trading in early will leave you having paid so much in finance charges compared with principal that you’d be better off leasing. If you can’t pay off the difference on an upside-down loan, you can often roll the amount you still owe into the new loan. But then you end up financing both the new car and the remainder of your old car. If your goal is to have both low monthly payments and drive a new vehicle every few years with little hassle, then leasing is probably worth the additional cost. Be sure, however, that you can live with all of the limitations on mileage, wear and tear, and the like. Last, be sure you’ll be able to afford the lease for its entire term, because the early termination penalties can be costly. We hope you found this post helpful when purchasing or leasing your next car, however if you would like to find out more information about Car Leasing there has been some extensive research carried out by Intelligent Car Leasing, to view this simply search in your browser for research by Intelligent Car leasing you could find very useful. Remember, if you’re buying a car from another state and need it shipped to your location, contact the professionals at Auto Transport 123!